Stela D dates to 9.16.15.0.0, which equates to the 17 February, 766AD. 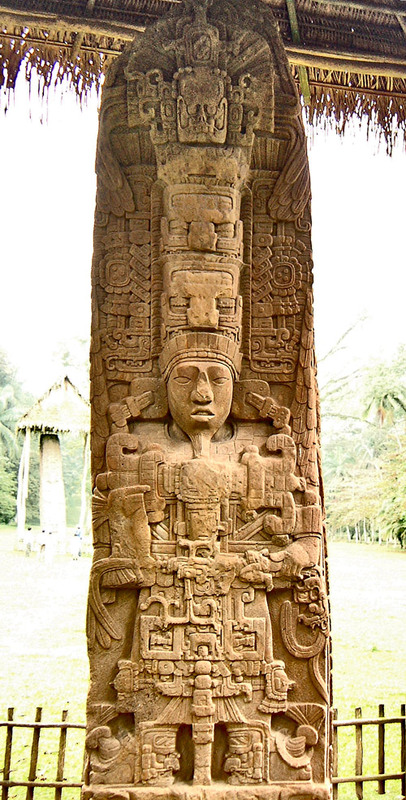 To find out more about the imagery, please read the article The Stelae of Quirigua. This Stela is also discussed in the speculative article entitled Is This the Face of the Pharoah of Quirigua?